One of the most popular questions we get asked here at the National Space Centre is ‘how can I be an astronaut?’ This career choice can be one of the hardest to achieve. 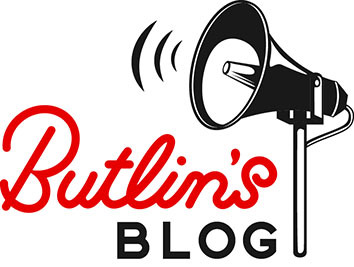 So the team here at the National Space Centre are taking over the Butlin’s blog today to share the answers with you. Just like the guests arriving at Butlin’s, we get lots of inquisitive visitors at the Centre here in Leicester; when they see the rockets and space suits they get inspired and want to go on their own space adventure! So we thought we’d give you an idea of some of the things you can do to improve your chances of being selected to leave Earth behind and go on a great space adventure. In the past, most astronauts either had to be military test pilots or scientists, with the pilot route being the most common entry point. This was originally because early spaceflight was closely linked to Air Force research activities. 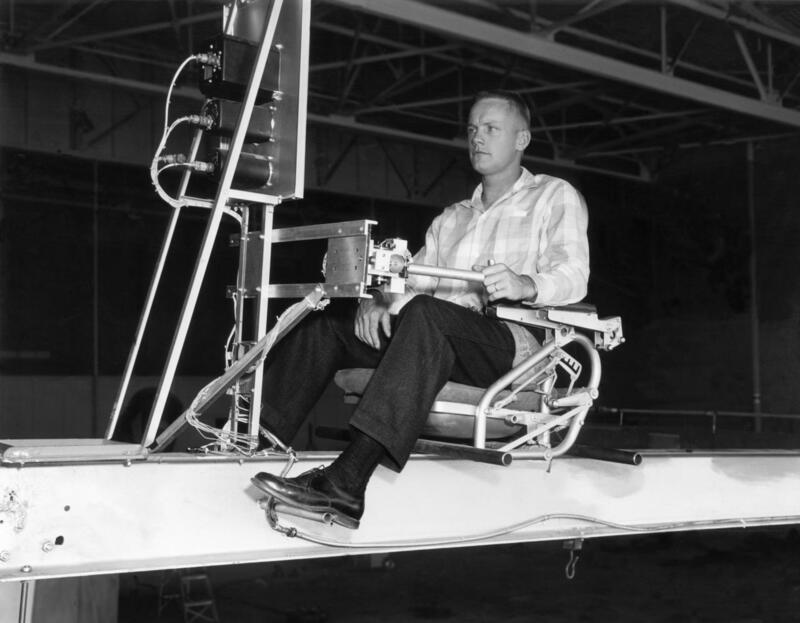 Test pilots were used to the difficult and stressful conditions that early astronauts experienced. 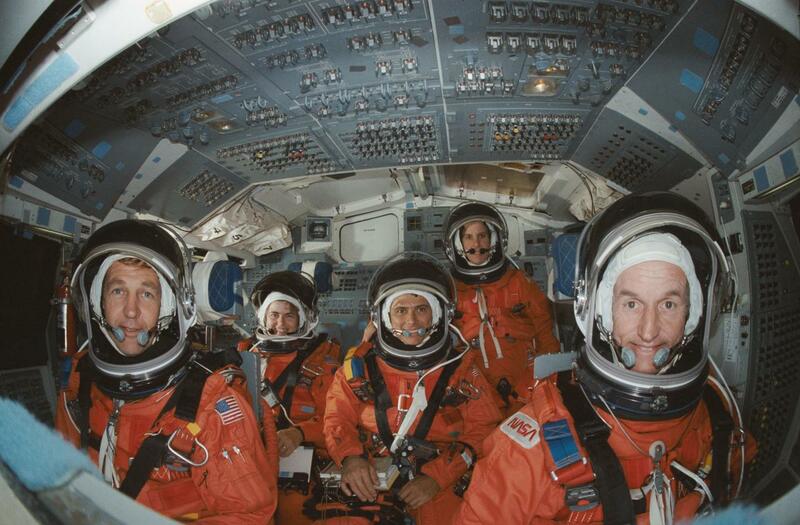 Test pilots were also often trained in various engineering backgrounds. This gave them the skills considered favourable for the job. Most of the Apollo astronauts that went to the Moon came from this background. During the Apollo missions, they had to be taught how to do all the science experiments as many of them didn’t have a science background. Since the first astronauts, the requirements have become a little broader. In the past, we have seen Teachers (Christa McAuliffe), Helicopter Pilots (Tim Peake) and Chocolatiers (Helen Sharman) become astronauts; and while astronauts can come from all sorts of backgrounds, all of them are required to hold some sort of science or engineering-based degree. Helen Sharman held a PhD in chemistry when she flew into space. This is the best piece of advice we can give any wannabe astronaut: find an aspect of science, technology or engineering you really enjoy. It can be biology or physics or computer science, but a technical degree gives you a great foundation to build on when it comes to the space industry. The second thing we always point out, and something you may have noticed from the previous paragraph, is that astronauts have almost always done another job before becoming an astronaut. The average age of people selected to be astronauts is 34 years old – people don’t go straight into space after finishing school. So, remember to be patient! This is why it’s good to find something you really enjoy and do that for a while before considering a career change. Another defining feature of astronauts is that they tend to have a lot of hobbies. Many astronauts learn to scuba dive or fly planes as a hobby, even if it’s not part of their job. 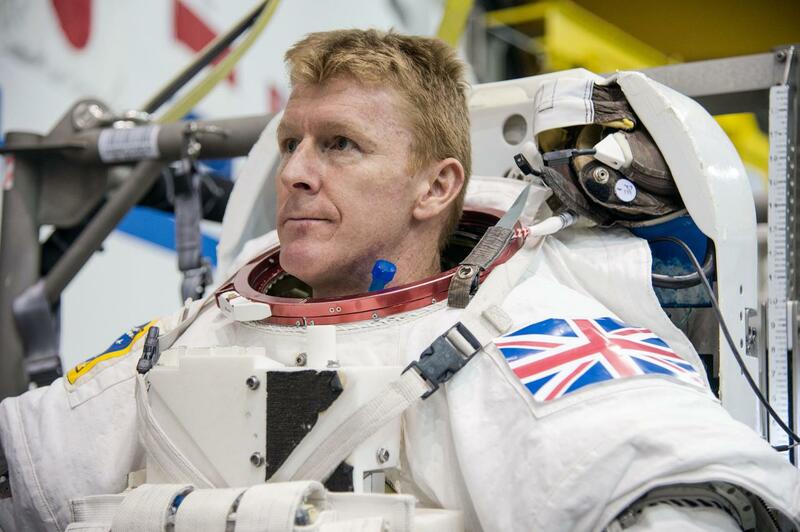 Tim Peake was an avid member of the scouts when he was younger. These sorts of skills can be helpful when training to be an astronaut. 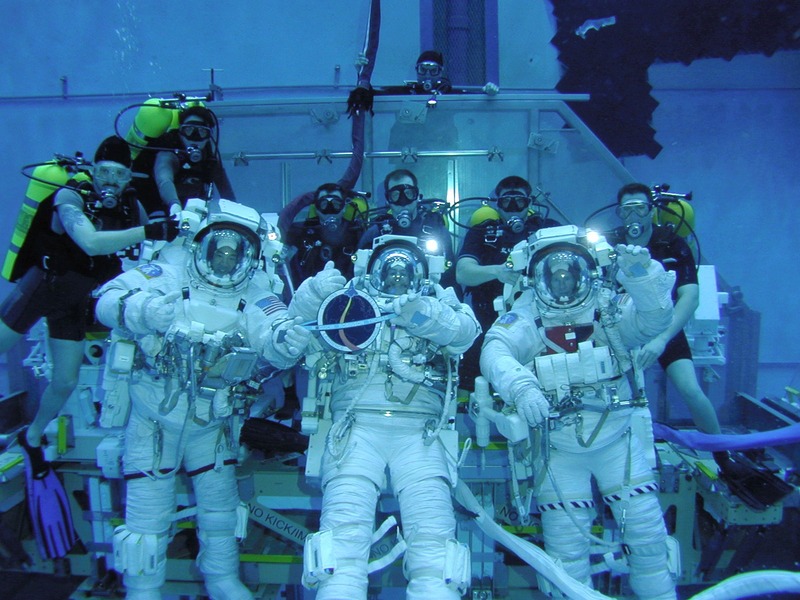 Skills like scuba diving are used during the astronaut training program to get people ready to go into space. That said, these activities are not necessary, in fact a lot of them are included as part of the astronaut training programme anyway. 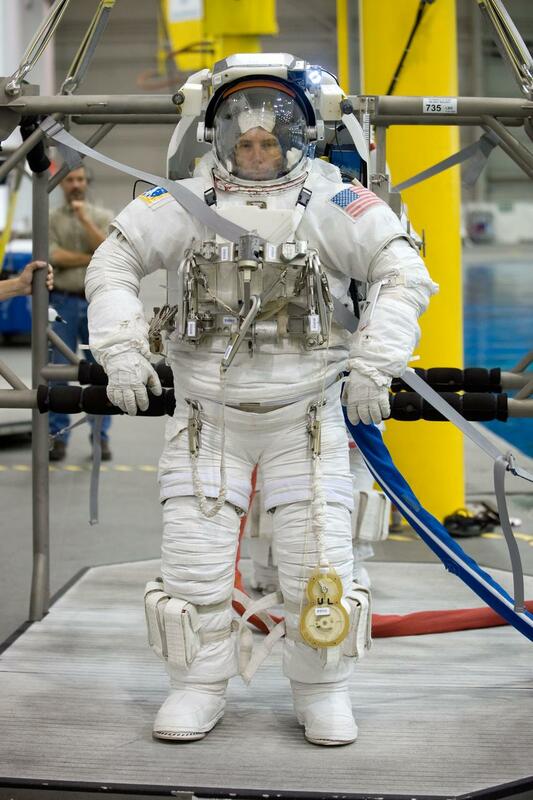 If you’re lucky enough to be selected as an astronaut, the training will take up most of your time. 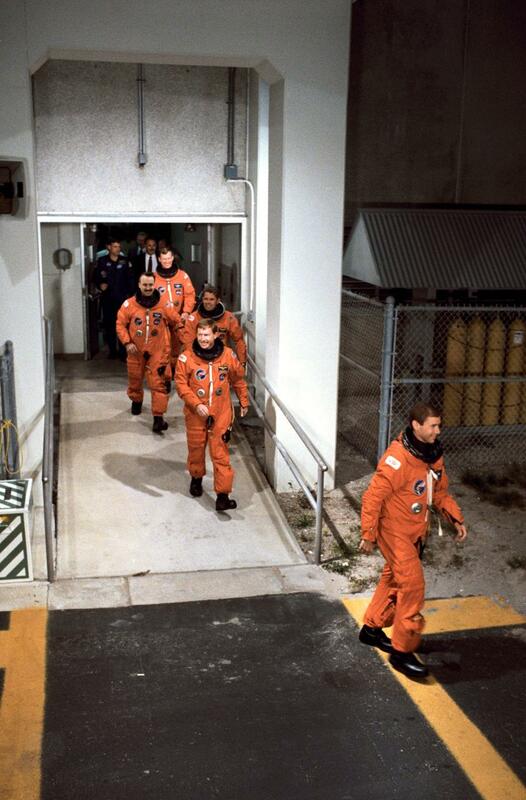 Astronauts must spend at least three years in training before they go into space. Their training covers everything from flying the spaceship, to putting on and using their spacesuit, and even learning all the experiments they have to do while in space. It can be a long and difficult process. When Tim visited us at the National Space Centre he said the hardest thing he had to do was learn to speak Russian and remember everything that he was told. The reason why it’s so difficult to become an astronaut is because the space agencies need people who can handle all of these difficult tasks in potentially stressful environments. Not many people manage to become astronauts. In fact over the entire history of space exploration, just over 500 people have officially become astronauts out of the hundreds of thousands that have applied. This is a very small number. However, the list of people that have helped get these astronauts into space has hundreds of thousands of names on it. While many people won’t get into space themselves it takes huge teams to get the astronauts there. You need teams of people to train the astronauts, to help them learn what to do and how to use equipment. You have chefs that cook the astronauts food, you have scientists who design their experiments, you have people who make their space suits; the list goes on! 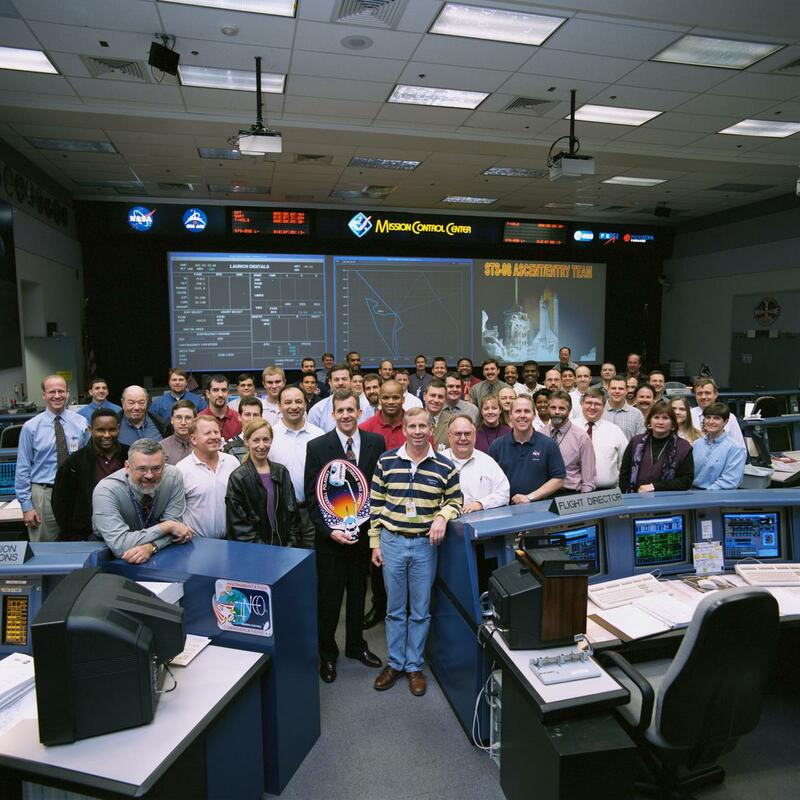 Whenever people are in space there is a large team in mission control who constantly supervise the mission, talking to the astronauts and monitoring all the information being sent back from the spacecraft. Try your best; it’s all you can do! 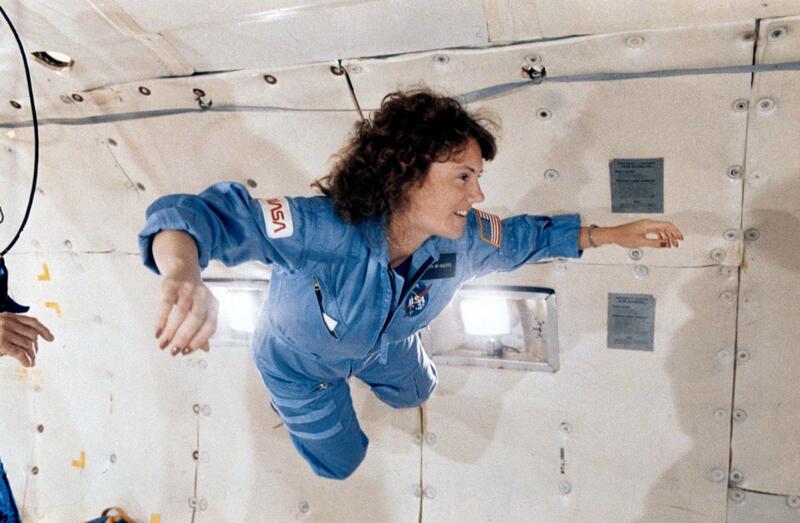 So, the final thing we always say to anyone who wants to be an astronaut is to try your best and see what happens! Hopefully if everything goes well, you may just get the opportunity to go into space. However if you don’t, all the work that goes into preparing to be an astronaut will help you perhaps work in the space industry in another way. Maybe you could design space ships or analyse the results from space experiments, and just possibly you could be the flight director and get to press the button that actually launches the rocket! As Butlin’s Science Zone partners, you’ll find the National Space Centre at Butlin’s Bognor Regis, Minehead and Skegness during all school holiday breaks throughout 2017. You and your family can take part in the Great Rocket Challenge and have a go at designing and launching your very own rocket. Or to find out more about life in space at the National Space Centre in Leicester, visit spacecentre.co.uk. All photography has been taken from, and is credit to images.nasa.gov. Josh Barker works on the Education and Space Communication Teams at the National Space Centre. He has loved space all his life and enjoys nothing more than helping people explore his favourite topic. He can often be spotted stargazing, building Lego Mars rovers and blowing things up to show people how rocket engines work! Hello! I work at the National Space Centre. I've loved space all my life and enjoy nothing more than helping people explore this incredible topic. You can often find me stargazing, building Lego Mars rovers and blowing things up to show people how rocket engines work!